The applications are now open for the IYF Representative position in the African States to recognize exceptional young leaders in Africa who are leaders in the effort to contribute to a better future for young people. Angola, Benin, Botswana, Burkina Faso, Burundi, Central African Republic (CAR), Chad, Comoros, Democratic Republic of the Congo, Republic of the Congo, Cote d’Ivoire, Djibouti, Equatorial Guinea, Eritrea, Gabon, Guinea, Guinea-Bissau, Lesotho, Liberia, Mali, Mauritania, Mauritius, Mozambique, Namibia, Niger, Nigeria, Sao Tome and Principe, Senegal, Seychelles, South Sudan, Swaziland, Tanzania, Togo, Zambia and Zimbabwe. The Fédération Internationale de la Jeunesse in English International Youth Federation (IYF), is an international non-profit youth organizations network governed by the present Statutes and the Swiss Civil Code. It is neutral politically, and non-denominational, aim to empower youth worldwide. The IYF is a part of the United Nations Sustainable Development Solutions Youth Network. 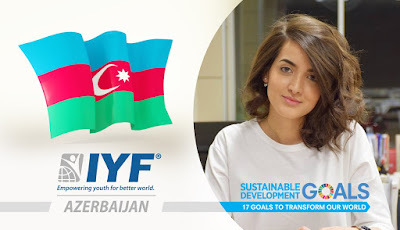 The International Youth Federation in Africa (IYFAF) works to promote youth empowerment and advance the role of youth to achieve the Sustainable Development Goals (SDGs) in the African countries and enhance the cooperation between youth organizations, governments, and the international community. It provides policy guidance and oversight to the Country Teams in the member countries. Only (18-38) age is accepted for this position. Experience and results preferred at national level preferred in youth empowerment role, development, communications, international relations, youth studies, sport, women empowerment, youth-led organizations or another relevant field. Kindly send your resume, or your nominee resume to the e-mail apply@iyfweb.org.